There are many different kinds of taxes that people will come into contact with over the course of their life. Of them all, Capital Gains Tax is one of the less familiar. The nature of Capital Gains Tax is such that, it will be due on any profit that you make when you sell something that has increased in value. In this guide, we set out the detail on Capital Gains tax. 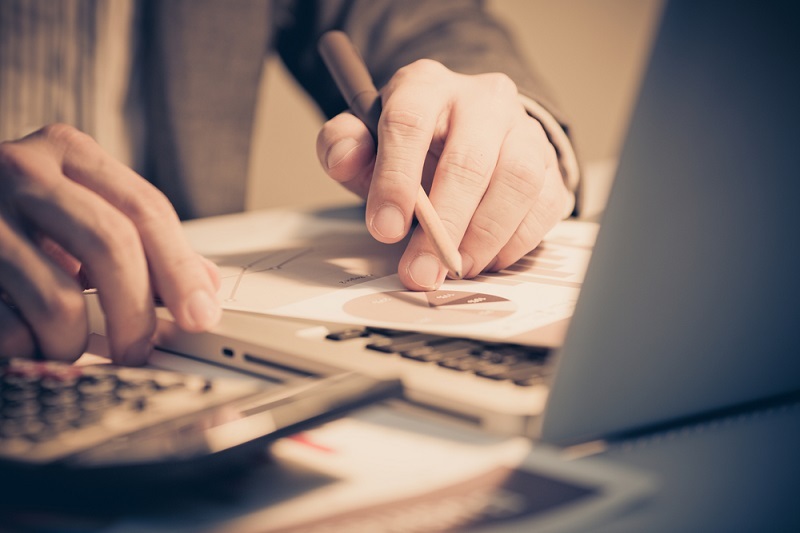 How is Capital Gains tax calculated? Who has to pay Capital Gains tax? Does Capital Gains tax apply to everything that I profit from? What happens if I make a loss on a sale? When you buy something you will have bought it at a price that reflects its value e.g. you buy a painting for £5,000. With the passage of time that painting may increase in value to £30,000, which might give you the idea to sell it and enjoy a handsome profit. This is where Capital Gains tax will apply: you will be liable to pay Capital Gains tax on the gain that you made which the case of our painting will be £25,000 (£30,000 minus £5,000). If you earn up to £31,785 per year, you will be classed as a 'basic rate' income tax payer. Therefor you will be liable, generally, to pay 18% on any gains that you make. If you earn between £31,786 or more than £150,000 you will be deemed to be a 'higher' or 'additional rate' tax payer respectively. As a result you will pay 28% on the gains that you make. Add together your taxable income and total taxable gains. If the number that you arrive at is less than £31,785 you will pay 18% Capital Gains. Anything above this will be liable for 28% Capital Gains. If you are the person that is selling something that increases in value and are by definition making a 'gain', then it is you that will be liable to pay Capital Gains tax. In theory everything that you make a tangible 'gain' on should be chargeable. However in practice not everything that you make a 'gain' on will be liable for Capital Gains tax, it must be a 'chargeable asset'. There will be no Capital Gains tax due on shares that are part of an ISA or make up a portion of your pension. However if you buy shares – all of which are the same type – at different points in time, you need to be sure what shares it is that you are selling as these can attract Capital Gains tax. You may be able to buy shares in the company that you work for through a scheme that your employer operates. If you purchase these shares simply to sell them immediately, then it is likely that you will have to pay Capital Gains on this. Furthermore if you keep the shares and sell later, depending on the kind of scheme that your employer operates, you may need to account for Capital Gains tax on their sale. The point is that where a scheme allows for there to be a positive difference between the price at which you take ownership of the shares, and when you sell them, then this will in most cases attract Capital Gains tax. If you make a gift to a Charity, then in most cases you will not have to pay Capital Gains tax. The only time when you might have to pay the tax is when you sell something to a charity for more money than you paid in the first place, but less than the actual market value of the object. You gave them some goods for use in their business which they could then sell on. Your spouse or civil partner might be liable to pay Capital Gains tax if they later choose to sell the object in question, and make any profit by doing so. An important part of the Capital Gains tax regime is that you are only required to pay for any gains that you make that exceed the annual tax free allowance. As with many of the different tax rates, your allowance for Capital Gains can change from time-to-time. For the tax year 6 April 2015 to 5 April 2016, your tax free allowance is £11,100. In most cases if your Capital Gains do not exceed the level of the allowance then you needn't account to HMRC. You did not only buy the property in the first place to make a gain later on. You decide to sell assets from a business within three years of its closing down. If you are able to use the entrepreneurs'' allowance, then your Capital Gains tax rate will be reduced to 10% on the first £10 million that you make in gains over your lifetime from the sale of the businesses assets. It should be noted however that this allowance will not be available to you if you run a property letting business. If you let our part of your home then you might be able to claim relief from Capital Gains tax. When you come to sell your home – part of which has previously been let out – part of the profit or 'gain' that you make will relate to the letting out, and can attract Capital Gains tax. The amount of money that is attributable to the increase in the property's value owing to its having been let out for a period of time. It would be inaccurate to say that there is a 'relief' for Capital Gains tax on personal possessions. However there are certain aspects of your personal property that will not attract Capital Gains tax liability. If you have antique furniture or other collectibles in your possession, then they may be free from Capital Gains tax. In law they are referred to as 'chattels'. Furthermore if some of your possessions have a predicted life of 50 years or less they will be deemed to be 'wasting assets' and, provided they are not able to be claimed for as a business capital allowance, they will also be free from Capital Gains tax. Capital Gains tax is designed to apply where you make a profit from selling something. If however you sell something and make a loss on it, then you can make use of this to reduce your liability to Capital Gains tax. Assuming that whatever you have tried to sell is deemed to be a 'chargeable asset', you can report your loss, known as an 'allowable loss', on its sale to Her Majesty's Revenue and Customs (HMRC) which will then cause your total taxable gains to decrease. It is important to remember however that losses incurred on chargeable assets given or sold to your spouse or partner cannot be used to reduce your tax liability. Capital Gains tax is a tax on the gains or profit that you make from the sale of an asset. An asset will only attract Capital Gains tax if it is 'chargeable'. The amount of Capital Gains tax that is due will depend on your Income tax banding and the level of your gain. Whoever enjoys the profit or 'gain' for the sale of an asset, will be due to pay tax on this. Any Capital Gain that you make, that falls below the statutory allowance will not be subject to Capital Gains tax. Gifts or the sale of chargeable assets to your spouse or civil partner, or gifts to charity will not attract Capital Gains tax. Having an interest or ownership of a business that you are seeking to sell may be able to benefit from Capital Gains allowance. Any loss incurred on the sale of a chargeable asset should be reported to HMRC to reduce your total capital gain.